For me, this is a bit of a superfluous release. It is not an album like "Let It Be", where much of Phil Spector's production did not appear on original demo versions, so "Let It Be (Naked)" could be released and appreciated. 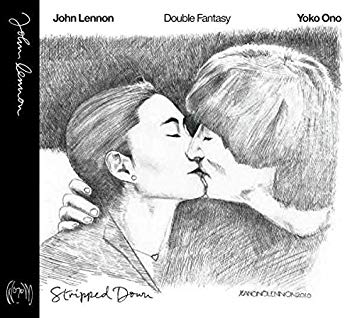 On "Double Fantasy", the original was a pretty well-realised album, sonically. Therefore I am not sure what "stripping it down" wanted to achieve. It seems that quite a bit of the backing vocals have been taken away, such as the doo-wop parts on "(Just Like) Starting Over". This is a shame, because rather than making the song sound more rootsy, it takes away its nostalgic, late fifties feel. Tracks like "Kiss Kiss Kiss" and "Clean Up Time" do sound more rocky, bassy and with a bit more of a rawness to them, but, as I said, I am not sure it was necessary in the first place. A few studio "chat" bits have been added in, as if to give the recordings a feel of being "live" in the studio. Yes, the songs sound a bit more earthy, with the final slick coat of production removed, but in many ways, they sound like very high quality demo versions in need of one final tweaking. Yoko Ono's tracks have more of a Grace Jones, punky, bassy and raw feel to them, though. "Give Me Something" highlights the searing guitar and Lennon's excellent "I'm Losing You" has a huge, pulsating bass line that I love. This track really comes to life on this version. Not that it was ever bad, it just has a muscular new appeal here. The same applies to Yoko's powerful "I'm Moving On". "Watching The Wheels" is deeper and bassier, concentrating the bass, piano and drums. It sounds great, to be honest. This is one that is better than the original. 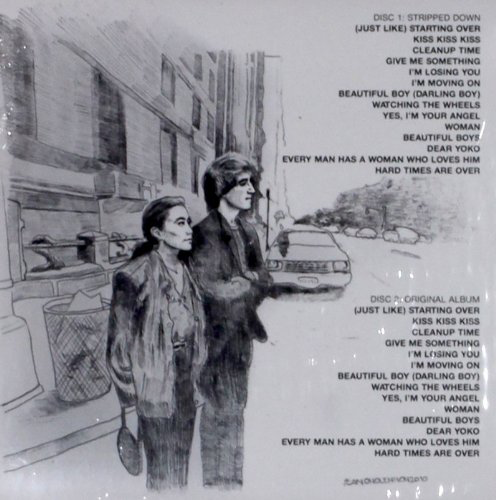 No amount of remixing can make Yoko's "Yes, I'm Your Angel" any more listenable for me, unfortunately. "Woman" has a nice feel to it, without the eventual orchestration. "Dear Yoko" has an energetic thump to it. Overall, it is still a good, listen, however. The sound quality is excellent and, as pointed out, there is an essential, down-to-earth attraction to the songs in the format. There are some who prefer this version of the album, and I can see where they are coming from, even though the changes are not incredibly obvious, nor were they particularly necessary. The 2010 remaster of the eventual album is the best of the 2010 remasters, nowhere near as trebly or tinny as I find some of the other 2010 remasters. Personally, I prefer the full bassiness of the 2002 Yoko Ono-supervised remasters.